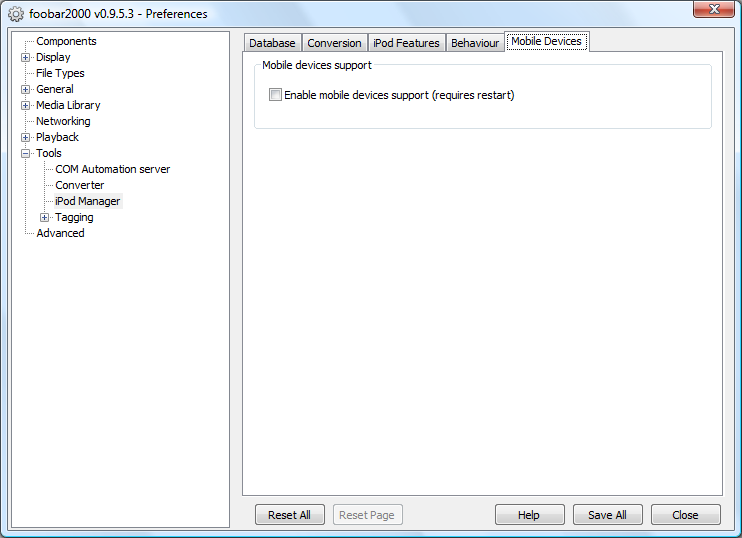 Enables the use of the Apple Mobiles Devices Support library which adds support of the iPod touch and iPhone. As this is a can of worms that non-users of these devices are best not exposed to, this is disabled by default. After enabling this option, you will need to restart foobar2000 for the change to take effect.